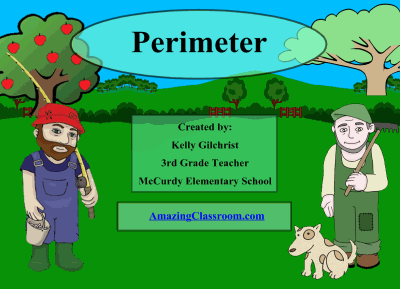 This Smart Notebook file is an excellent introduction to Perimeter. This lesson features a great website link for additional practice, a great story line, Smart Response Voting assessment, and fun interactive activity containers with sounds. (You will need to update to Notebook 11 for the containers to work.) Your students will learn to calculate the perimeter on a variety of geometric shapes. Have fun! 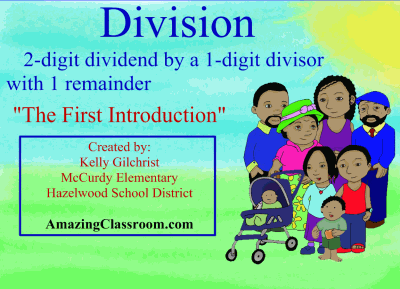 This smart notebook file is an introduction to division with remainders. The lesson consists of teaching children the basics of long division with remainders in problems that contain a 2-digit dividend and a 1 digit divisor. This lesson features interactive activity builder containers, Smart Response voting assessments, and other bright pages with fun activities for the students. Enjoy!